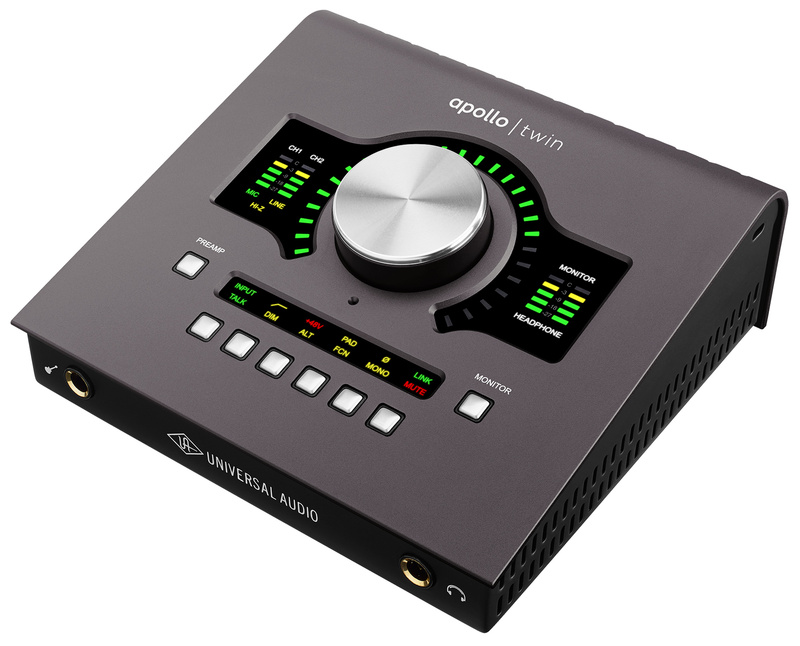 Apollo Twin MKII Quad, Thunderbolt audio interface from Universal Audio in the Apollo series. Then came the Apollo 8 (mid 2015) following in the steps of the original Apollos (2012), an Apollo Twin USB 3 (early 2016) for Windows, and last November a software update (9.0) that makes all Thunderbolt interfaces compatible with Microsoft's latest OS. 2017 marks the arrival of the Twin MkII, a version adapted to current times and with some very welcome additions. 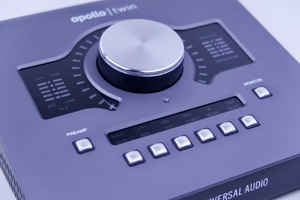 After the Apollo "racks," it was only natural for the small Twin to get a well-deserved revitalization. Like the Apollo 8, the Twin MkII changed color to a darker gray, but not as dark as the rack versions, fitting perfectly into the aesthetics of the new MacBooks Pro (which is surely no small coincidence!). The face-lift was a complete success and even if the design doesn't change much, the results are awesome. 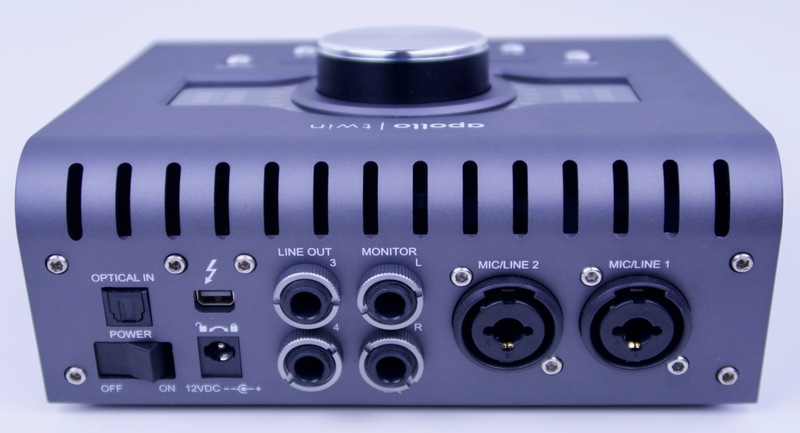 It is the same size and it's also exactly the same in terms of connectivity: two XLR/TRS input combos, one instrument input, two TRS line output pairs, one headphone out, one S/PDIF TOSlink input, and unfortunately still only one Thunderbolt port. Plus a connector for the mandatory external PSU. 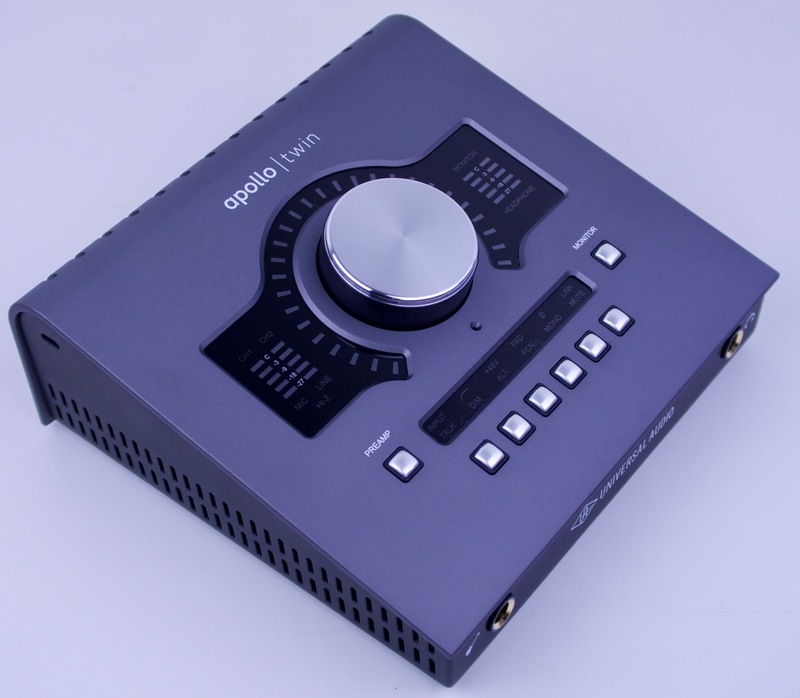 While it's easy to understand that the DSPs require lots of power for the Twin to be bus-powered, it nevertheless poses a disadvantage compared to competing products like the RME Babyface Pro, for instance. The absence of a second Thunderbolt port is also a handicap with certain MacBooks that feature only one port, because it forces you to buy a Thunderbolt dock to connect other peripherals using the same technology (screens, HDDs, etc.). And it's even more of a pity since you can now chain up to four Apollos and six UAD-2 devices in order to add inputs and outputs to your system. 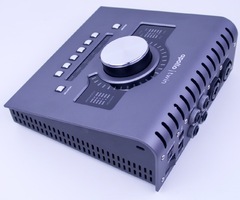 If you look closely at the interface you can see a tiny hole right underneath the big main knob. That's one of the new features of the Twin MkII: a talkback mic! It will allow you to talk to the musicians without the need to plug in anything else. 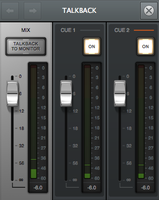 And it's all smoothly integrated into the virtual mixer with a fader and a Talk button, sends and even inserts! You can also control the send level of the talkback in the different Cues and even choose to send the mic signal to the monitors – do mind the feedback, though! And there's obviously a Talkback button on the Twin to activate the mic (if you press and hold the button the talkback is active until you release it; otherwise you can press it shortly to leave the talkback active until your press the button again). Apart from this, the new Twin features some other functions related to monitoring, like dim, mono, mute, and Alt (to switch to a second pair of speakers), as well as FCN (to control certain functions of other Apollos in the network). Very nice add-ons indeed! Finally, there's now a Quad version, which is certainly no luxury considering the CPU consumption of the latest plug-ins. 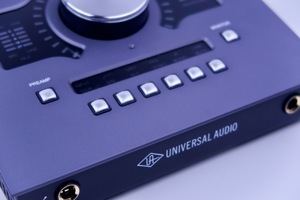 Even if it's certainly not the panacea, it will allow you to start using UAD plug-ins more comfortably than with a Duo. 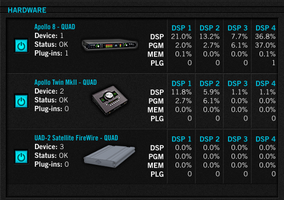 UA must find a solution for its DSPs and even upgrade to a newer generation if that's what it takes. It's not like we've been saying it for several years now… Regarding the converters, the Twin was indeed upgraded and now features the same ones as the Apollo 8, which is very good news, considering the impeccable audio performance of the latter. Let's see if this all holds true...! 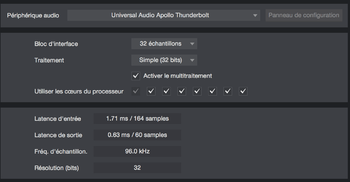 We set the buffer to the minimum (32 samples) to get the lowest latency possible. We got 1.71ms at the input and 0.63ms at the output (at 96 kHz). That's just...perfect! To test the interface, we did some benchmarks with our Audio Precision APx515, and we were able to compare the results with those of the interfaces we have previously tested. With a deviation of ±0.052 dB, it is slightly below the Apollo 8 (±0.019 dB), but way above the Metric Halo ULN-8 (±0.06 dB), the Apogee Ensemble (±0.087 dB), the Fireface 802 (±0.063 dB), and the SPL Crimson (±0.073 dB). Do note however that the Babyface Pro is a bit better (±0.021 dB), just like the UFX+ (±0.023 dB), the Zen Tour (±0.032 dB), and the Orion Studio (±0.037 dB). 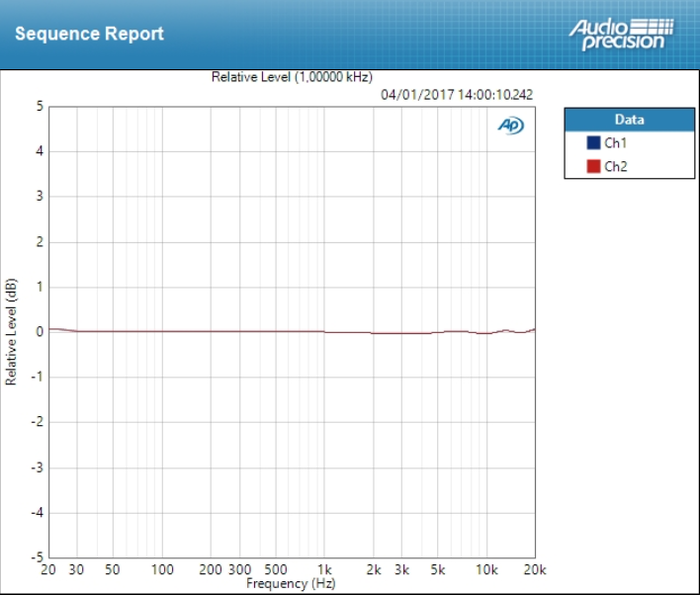 But don't forget that we are talking here about hundredths of a dB across the entire frequency spectrum. Even a bat couldn't tell the difference in an ABX test! When it comes to distortion, it exceeded 0.002% only once at the end of the spectrum. 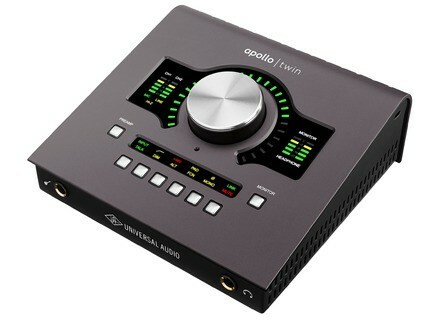 Overall very good results that place the Twin MkII as one of the frontrunners among the interfaces we've tested so far. The preamps provide 65dB of gain and are digitally controlled. With the gain set to 34dB, the deviation remains at the same level, ±0.054dB, which proves that the built-in preamps are pretty transparent. Sweet! 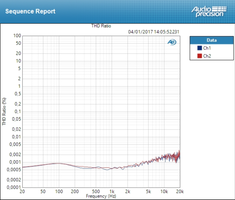 Besides, the distortion increases just slightly, 0.003% – very promising, indeed. 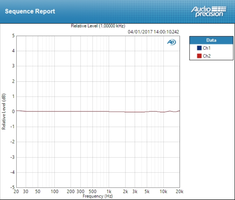 Regarding the signal-to-noise ratio, we got 106dB, which is quite good. A bit below the Apollo 8 (108dB), but above many others (Apogee Ensemble: 105dB, Zen Studio: 101dB, Fireface 802: 102dB, SPL Crimson: 101dB, Metric Halo ULN-8: 100 dB). 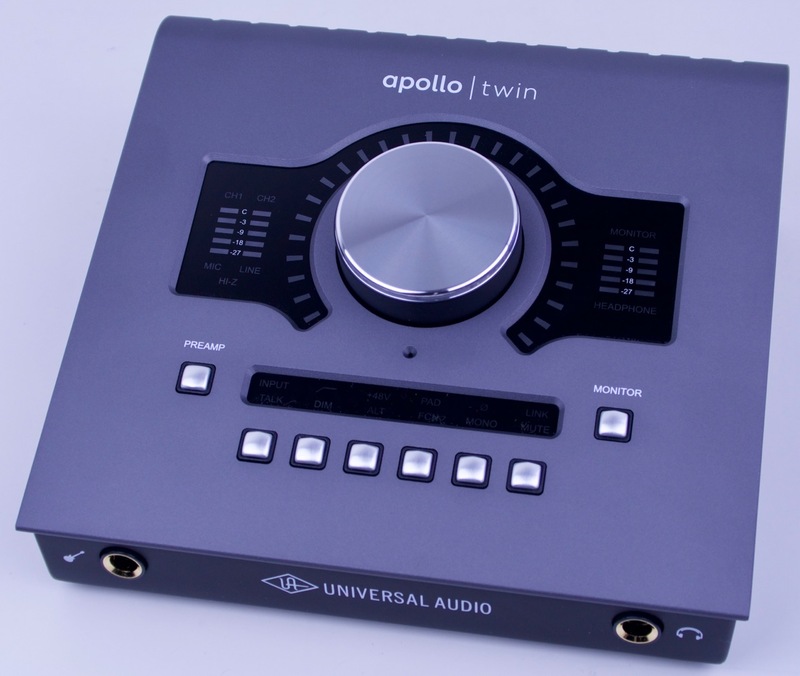 While the overall results are slightly below the Apollo 8, the Twin MkII nevertheless remains among the best audio interfaces we've tested so far. 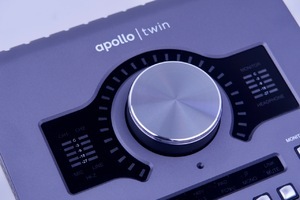 Similarly to the Apollo 8, the Twin MkII didn't really introduce any jaw-dropping improvements. But that has more to do with the fact that the original product was already excellent rather than with the improvements not being up to par. 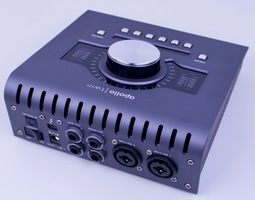 Just think about the talkback mic, the new converters, the Quad model. 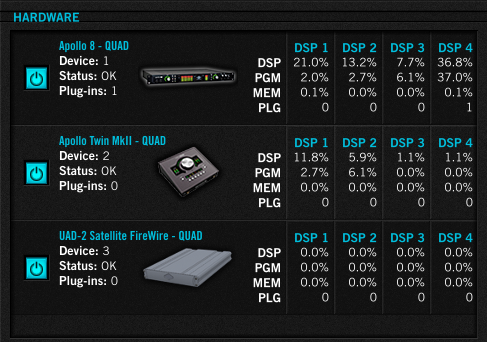 And don't forget the small details such as the mute, mono and dim buttons in the monitoring section. 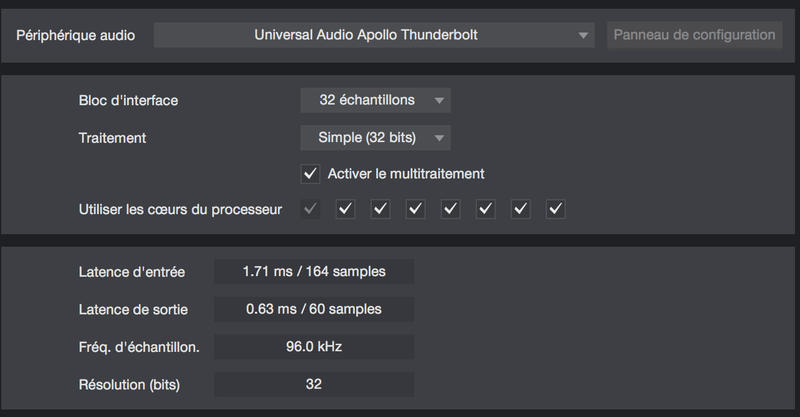 Add to that an exceptional audio performance and Windows/Mac compatibility and you could almost forget that it has only one Thunderbolt port, that's it's not bus-powered or that the UAD-2 DSPs are more than eight years old! 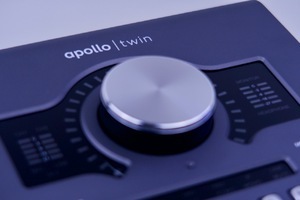 Anyway, this Apollo Twin easily deserves 4.5 out of 5 stars.